PushUps4Parkinson’s is pleased to announce our newest partnerships in the global 10.10.10 Challenge. This movement is an effort to challenge the world to do 100 million push-ups and raise $100 million in 6 months (10 push-ups and $10 at a time) to find a cure for Parkinson’s, support and educate caregivers, and improve quality of life for those living with Parkinson’s. 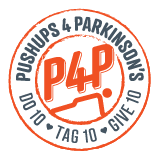 PushUps4Parkinson’s has united with The Michael J. Fox Foundation, Parkinson’s Foundation, Caregiving 101, Relias Academy, Brian Grant Foundation, Parkinson’s Queensland, Seniorlink, and other organizations in promoting the campaign, already underway. The project quickly gained attention within the Parkinson’s and caregiver communities and expanded to a movement with potential impact on a global scale. 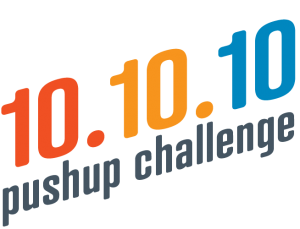 Now known as the 10.10.10 Challenge, participants are encouraged to record and share a video or pic of themselves doing 10 pushups, give $10 at http://www.my101010.org and challenge and tag 10 friends to do the same. Thank you to our partner, Relias Academy, who is offering free Caregiving 101 Parkinson’s education courses to family and professional caregivers. Access the free courses here. Relias is a trusted provider of continuing education courses for families and professionals to improve the level of care provided to those with Parkinson’s around the world.